Hangjik (pronounced ‘han jeek’) is a renovated traditional stone and adobe dwelling located in the valley of the River Nerodime between the Shar and Karadak mountains of southern Kosovo. The nearest town is Kaçanik midway between the capital Pristina and the Macedonian capital Skopje. 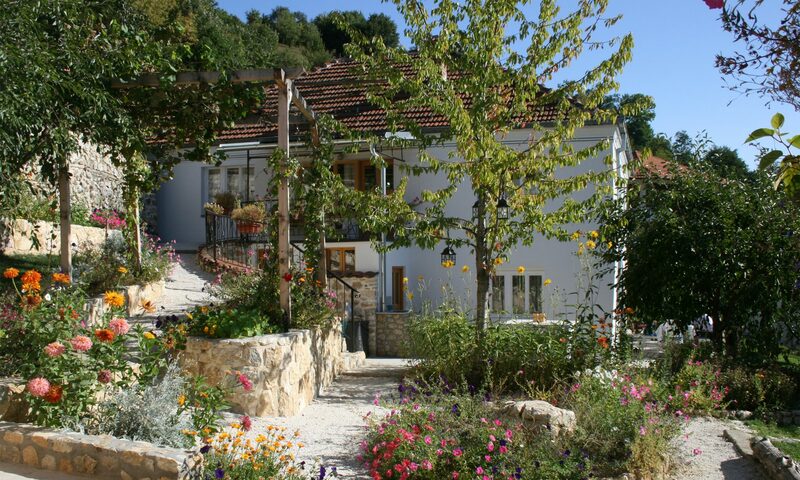 Accommodation is provided in a restored barn together with two suites in the old house all set in a walled fruit and vegetable garden in the rural village of Runjeva near the historic Kosovan town of Kaçanik. Hangjik provides a quality retreat, a hub for Kosovo exploration or a good place to include in a wider Balkan tour. It is a convenient and welcome contrast to the urban intensity of the nearby capital cities; and works well for families, groups or single visitors.